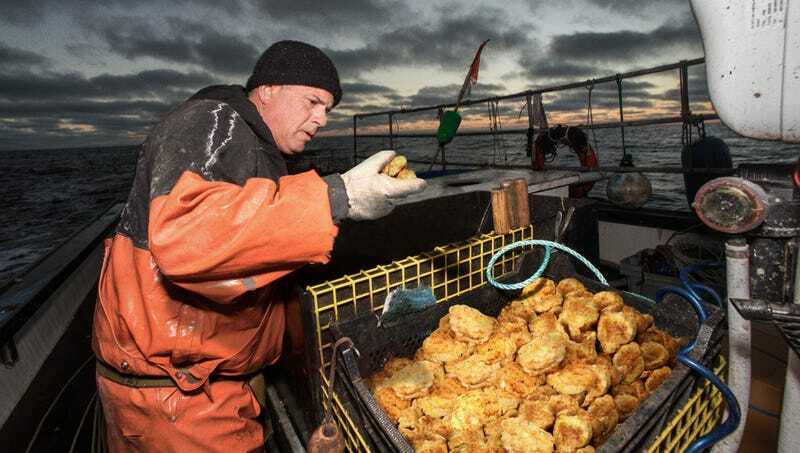 CHEDDAR BAY, ME—Warning that local stocks had been depleted to dangerous levels, environmentalists criticized Red Lobster on Wednesday for its part in decimating biscuit populations along Cheddar Bay. “It’s no coincidence that the biscuit population has dropped an alarming 84 percent since Red Lobster was founded in 1968,” said Roger Gross, researcher at the Marine & Environmental Research Institute, adding that the rate at which Red Lobster has been harvesting biscuits from the bay was unsustainable, causing them to shrink precipitously not only in number but also in size. “Most biscuits will be gone in a decade, and the ones that remain won’t be anything we’d recognize as golden-brown or flaky. And this doesn’t even factor in the massive economic cost to Cheddar Bay, whose restaurants had been responsibly trawling for biscuits for generations before Red Lobster’s massive fleet arrived.” Gross went on to say that a moratorium was the only solution until the biscuit populations were fully replenished, urging Red Lobster to temporarily double up on far more plentiful hush puppies.